As time moves on, the newest generations always seem to find the excuse to blend different genres together. Sometimes it works so well that it even creates a whole new sound; in other case scenarios they mash up in such a very good way that fascinates more than one, with both style put in the pit finding their own self and don’t get overshadowed one and the other rather working together in harmony; and then, of course, it might all not work and it may become a terrible mess. Because of that, sometimes the best path to take it’s the one that comes with the melody. Stay original. Blind Lemon Pledge’s one man lead James Byfield has decided to stay truth to its roots and bring back to a whole new generation that sound made him bounce his head back and forth, shake his body on the dance floor and getting into the scene. This, ladies and gentlemen, it ain’t that hipster folk music that doesn’t quite sound as Roots music such as The Lumineers or Mumford and Sons, granted they are pretty good and everything but if we were meant to be honest, that isn’t exactly real Folk music but more a derivation, a mixing of different sounds. The original Roots music can be found on icons like Hank Williams Jr., Willie Nelson and the very own Blind Lemon Pledge. Right off the bat, the first song on newest album Backwoods Glance, Polly Come Out, is filled with the distinctive sound of the rural areas where the genre began. Fiddle blends with the guitar and some drums line bases can be felt throughout the background and the vocals that are so reminiscent of this particular style. This song pretty much sets the whole album tone though songs such as Moon Over Memphis and Silver Wings sees the artist moving towards a more bluesy direction, proving that even though his heart is in the Roots realm, he is not a one pony trick artist, which these days is something that works very well on James’ advantage. On a negative note though, something that took me off at the very beginning was the production work. James and his gang have a very good pitch and the music itself really takes you into their own particular world and those rural areas of America. However -and especially when there are some background vocals- it seems as if something went wrong on the mixing room in a few tracks like Polly Come Out and things didn’t come out very good. Sometimes the whole song feels out of sync with one instrument outshining the other creating a pretty messy product. Luckily there are some enjoyable singles that don’t suffer from this, yet there are others that do resulting in a pretty uneven album. In the end, for those who at this point might already get tired of listening to the same old records from the past because they haven’t found someone that made justice to the sound that prevailed on those materials, well, worry no longer as we might have found the best album for you. If you find the way to ignore the few missteps and errors on Backwoods Glance, you would be all good for an awesome ride. 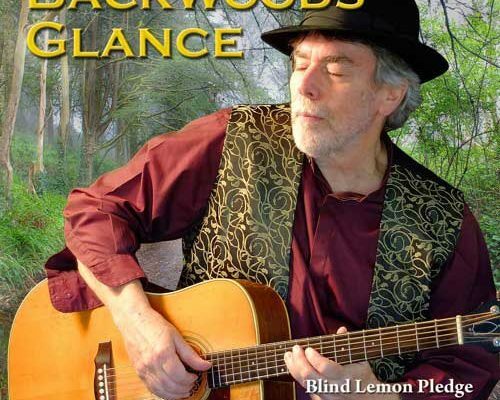 If you enjoyed a preview from Backwoods Glance, give Blind Lemon Pledge a like on Facebook by clicking here & a follow on Twitter by clicking here.